Hymns have made their way into our culture and churches. They give flavor and reverence to a church service. They express the feelings and faith of people through the generations. Funeral hymns provide the following for those attending the service in memory of a loved one. The following are hymns that are either sung or played at funerals or memorial services. Since funerals come in all shapes and sizes, the hymns need to be diverse as well. A variety of instruments may be used such as piano, organ, flute, harp and violin. More contemporary services may have a guitarist play the music. 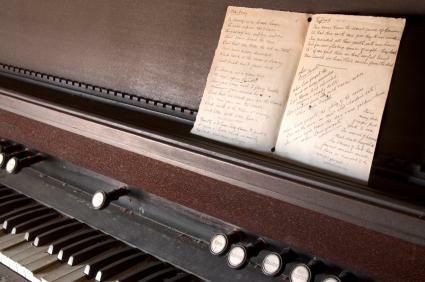 Some funerals may not have hymns at all and one of the reasons could be because the church where the deceased attending did not use hymns in their Sunday services. If this is the case, other songs will be played and sung. Family members do try to honor the wishes of the one who has died. If a particular song or hymn was well-liked by the deceased, it will usually be selected to be part of the funeral service. Personalizing a funeral is always a good idea. Often the singing and playing of hymns are sprinkled throughout the service. Someone decides the order of the service, and it is usually printed in a program. Readings, eulogies, special music and hymns are often part of a memorial or funeral service. If you are involved with planning the service, you will want to make sure that the decisions you make are well-received by others who were close to the deceased. Funerals can be difficult to attend. However, know that your presence is meaningful and appreciated by those who have lost a loved one or family member. Even if you do not feel your voice sounds like it belongs with the choir or the angels, you can softly sing the lines of the funeral hymns and be comforted.